From a material perspective, life in America gets better and better. From a moral perspective, the same claim cannot be made. One manifestation of our moral decline is how the country, thanks to the Democratic Party and the Left, is getting meaner. Americans understood that people can morally change, and that we should embrace such change. It was called repentance. And in a religious America, penitence and forgiveness were considered vital to the moral health of society. “In the place where penitents stand, even the righteous do not stand.” In other words, those who have done wrong and then repented are on a higher moral plane than those who’ve never had to repent. To our grandparents, the notion that a man who had exhibited no racism in 30 years should be driven from office because of a racist photo in his medical school yearbook page would have struck them as un-Christian, un-Jewish, stupid and mean. Not today. Thanks to the corrosive influence of the Left and the party that has forsaken liberalism for leftism, America is a less compassionate nation. Its heart has been hardened. And its mind has been weakened. I said this with regard to former Judge Roy Moore, who was accused of having acted inappropriately with teenage girls 40 years ago, and who has led an honorable family life all the decades since. I said it when Judge Brett Kavanaugh was accused of having sexually assaulted a girl at a party 30 years ago, when he was in high school — after having led a universally acknowledged honorable family life since. And I say it here. Gov. 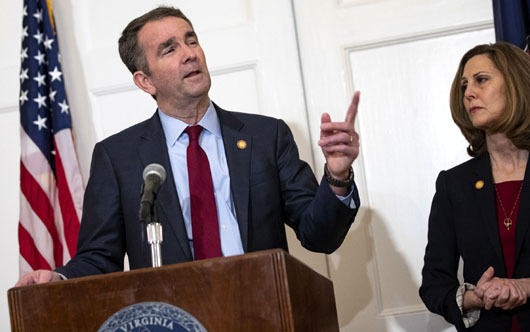 Ralph Northam had a racist photo on his medical school yearbook page but has led a life free of racism for the 30 years since. All three of these men should have been forgiven. (I need to note here that I believe Judge Kavanaugh was falsely accused of sexual misconduct). None of them should have had their names and reputations dragged through the media mud, or been driven from office or driven from seeking office. But thanks solely to the Left, we are an increasingly mean and foolish nation.